I have yet to set foot in the pristine beaches of Boracay. My niece who just came from a brief vacation in Boracay is telling a lot of good things about the place including the breath-taking sunset. I want to be in her shoes and witness the setting of the sun for myself. 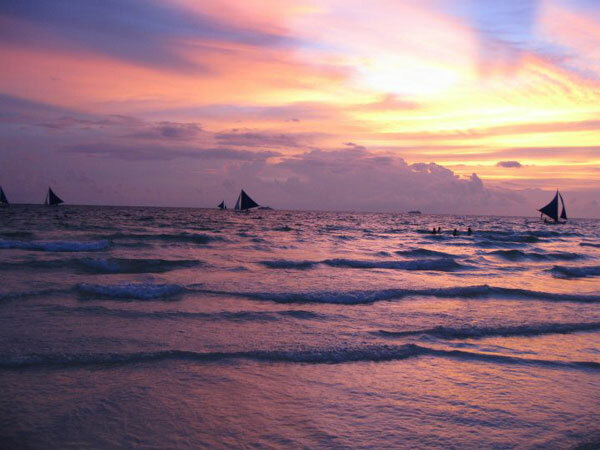 If going to Boracay is not feasible at the moment then these awesome photographs would be enough to satisfy my longing. Given my fascination with nature, I couldn’t help but be mesmerized by this scene. While at it, I almost forgot that I was looking for related studies about malibu rehab treatment center. I was distracted for a while. 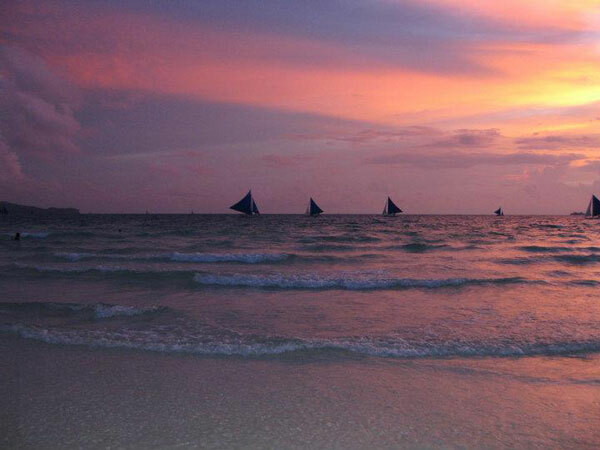 This entry was posted in Tourists destination and tagged Boracay, boracay beach, Boracay sunset on September 23, 2011 by Yami. It’s nice to know that the new tourism secretary is tapping the power of social media to boost the country’s tourism campaign. Tourism Secretary Ramon Jimenez said Facebook and twitter user, and blog owners can help promote the Philippines’ fascinating places and destinations all over the world. “It helps that Filipinos love to travel. It will be our job to excite people to want to see our country. We have the best, most fascinating places to visit on earth,” he said in a press conference. Aside from boosting local tourism, the new tourism campaign will help generate income and employment to Filipinos. Now, if you own an account to any of the social media I’ve mentioned above, wouldn’t you want to be a part of the government tourism campaign and let your friends learn about the beauty of the Philippines? Facebook, twitter, blogs are so powerful you don’t have to produce birthday party invitations to get friends and relatives to attend an important occasion. A post update is enough to promote your newly established or already flourishing business. This entry was posted in Tourism and tagged blog, department of tourism, DOT, facebook, social media, tourism campaign, tourism program, twitter on September 17, 2011 by Yami. Some things are best done in groups, while some may be done alone. One such example is going on singles holidays. Even if you happen to be unattached, you can still go on that much-needed vacation. We all deserve to get away from it all after all, regardless of marital or relationship status. What are the benefits of traveling solo? You discover a new self. Sure, the thought of eating at a restaurant or hopping on a train in uncharted territory may seem daunting at first, but once you get the hang of it, you hardly think that you’re alone. You unleash a braver you as you no longer mind a few inquisitive stares from strangers, as you sip that yummy soup alone. You get to do things freely. If you’re up at 6am and want to start exploring the locale, you don’t have to wait until the rest of your friends wake up. You can go wherever you want, whenever you feel like it. You don’t have to get into a sticky argument with your companions as to which place to visit first or designer t shirts to wear. People, however close they are to one another, do have varying interests. No matter how much you love another person, your idea of a fun holiday may be different from his. If you’re someone who is not too keen on making travel arrangements yourself, you’d be pleased to know that the internet is teeming with websites which cater to that specific need. They take care of everything from choice of destination to booking details. Don’t be afraid to challenge the stigma of traveling alone. If anything, it will prove to be an experience which will open your eyes to new worlds and possibly forge new friendships. Ultimately, it will benefit your well-being. This entry was posted in Travel, Travel tips and tagged solo vacation, travel tips for solo vacationer on September 16, 2011 by Yami.